Imagine gentle, undulating waves of buoyant, luminous, celestial sounds, sensations and vibrations flowing around and within you... catalyzing deep, effortless relaxation, restoration and nourishment for your Mind, Body and Spirit. Spacious feelings of Peace, Clarity and pure Potential gracefully replace tension, density, fragmentation and limitation. 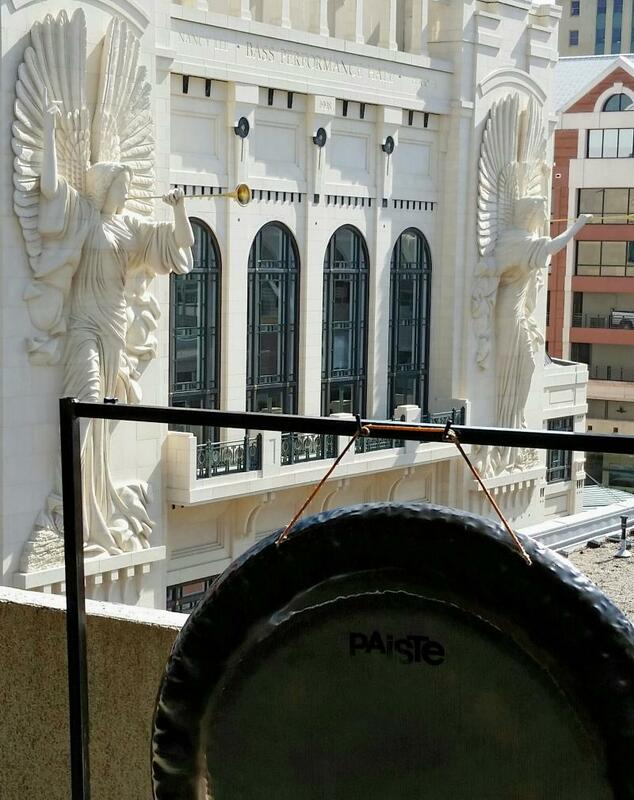 ﻿Experiencing The Gong, (a 32" Paiste Symphonic),﻿ is experiencing your true, boundless, porous, quantum Nature--free from linear constraints. 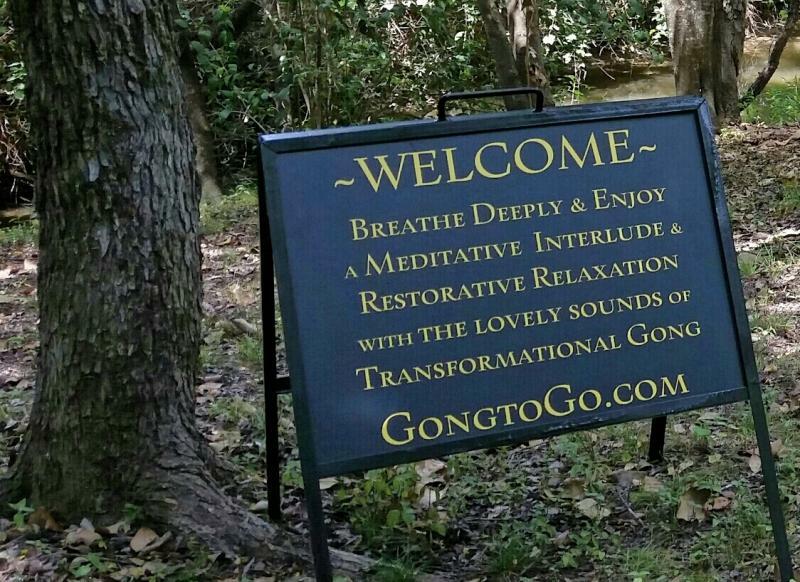 Immersion in the Gong's amazing sounds and Energies is like taking a sonic swim in the Ocean of the Infinite. Imagine the sensations of body-surfing---only it's the Mind, Heart and Body relaxing and letting go in the unchoreographed Divinely-sourced sound currents. 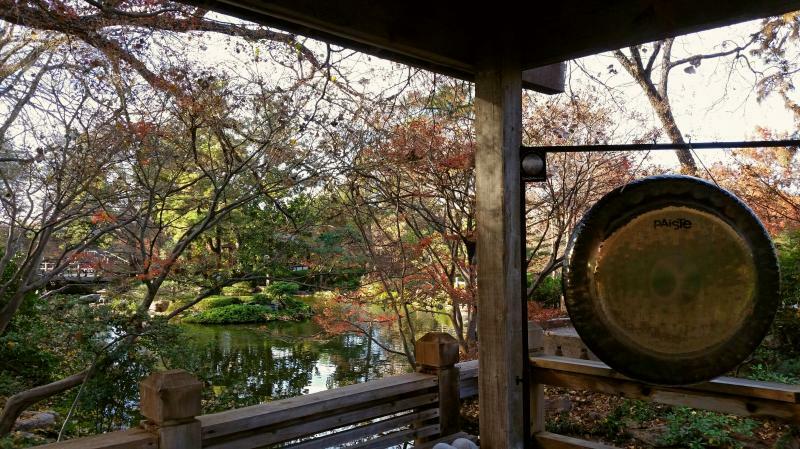 Immersion in The Gong's deeply relaxing, buoyant sonic Energies and unique celestial 'music' fully engage the multi-dimensional faculties and processing functions of our Being, making it a superlative tool for healing, transformation, clarity, restoration, meditation, maintenance and more. 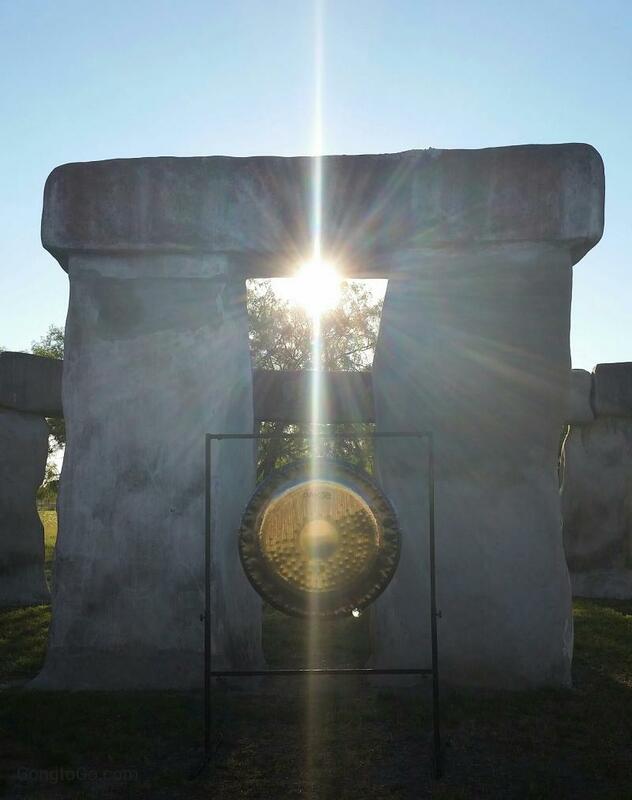 What unfolds within a Gong experience is uniquely personal, effortlessly effective, life-enhancing and amazing---beyond the ears and conventional concepts, current science and understanding of Sound. While thoroughly luxurious to experience The Gong in a quiet space on a raft of comfy-cozies, controlled conditions are not necessary to reap powerfully effective benefits~! 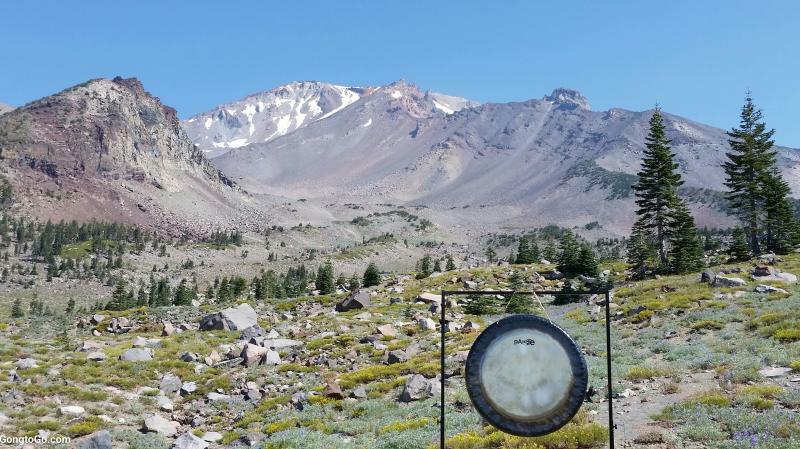 In my dedication to innovatively share The Gong, I have witnessed countless profound interactions--even in casual, creative settings. 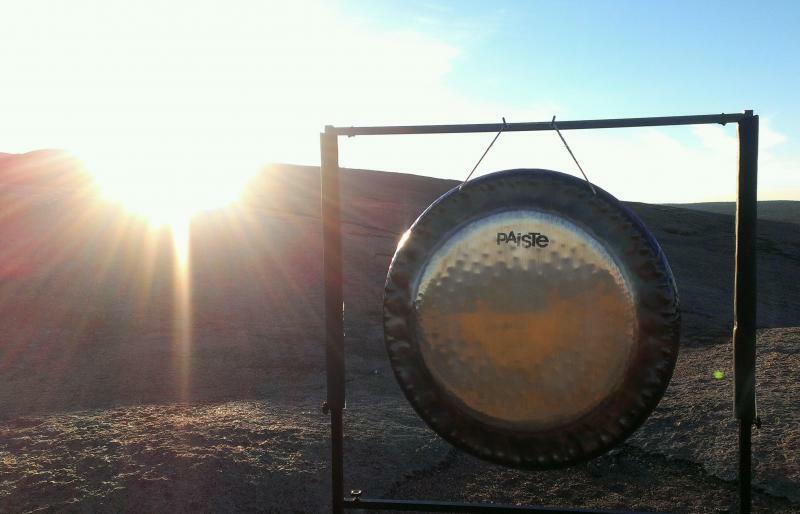 Even in these unexpected meetings with The Gong, people still connect with and marvel at its effortless and reverberating transformational capacities. Have an amazing idea, inspiration, collaboration, program, event or Blessing--and wish it even more amazing~?